A driver who mounted a pavement and crashed into a group of tourists in St Andrews has been banned from the road. Edward Kolakovic sped off down Market Street after being held up by cars parking on either side and a lorry being unloaded. The tree surgeon then tried to turn right - but lost control of his Volkswagen Golf, with the back end swinging out as he tried to turn on the damp cobbles. 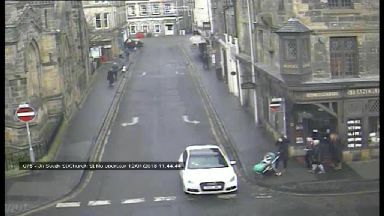 Kolakovic's car then regained grip on Church Street - causing the car to spear across the road and up on to the pavement. He ploughed into four Chinese tourists wandering the streets of the Fife town on January 12, 2018, seriously injuring two of them, before smashing into a shopfront. 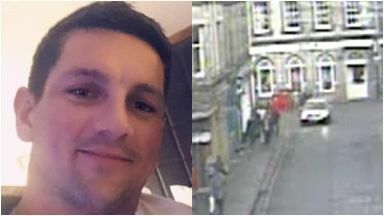 A court was shown CCTV footage of the moment of impact - with the streets busy with pedestrians as Kolakovic accelerated quickly away from a blockage in Market Street caused by other traffic. He was then seen attempting to turn right before losing control, the back end of his car sliding out, in the split second before impact. Kolakovic, from Cupar, Fife, pleaded guilty on indictment to a charge of causing serious injury by dangerous driving. Defence solicitor Katrina Clark said: "He is sorry for what happened and there is deep regret on his part." Sheriff Alastair Brown ordered Kolakovic to carry out 200 hours of unpaid work and banned him from driving for two years.